"Kusadasi Shopping: find out about all the wonderful and exciting goods and Turkish souvenirs you can expect to buy in Kusadasi." We have talked more about getting good deals in our article Kusadasi shopping: Tips and Tricks for Cruise Guests but now we’ll tell you more about WHAT to buy in Turkey, about all the wonderful and exciting goods and Turkish souvenirs you can expect to buy in Kusadasi. 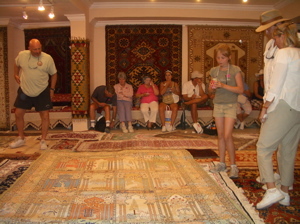 The absolute number one best buy in Kusadasi is a Turkish rug. Period. Silk ones or the ones made out of the softest wool dyed with natural colors, flat weaves or the ones with the pile, mat-sized ones, oversized ones or the ones that are so small and precious you can only put them in a frame… they are sure to mesmerize you! To learn what’s so special about Turkish rugs and why it’s not the same as buying a rug in your local Home Depot, read our article Turkish rug buying experience. When we talk of Turkish jewellery, we think gold! First of all it’s important to note that today, Turkey ranks among the top five countries in the world in gold production. And no wonder, when you think that Turkey, especially the part of it called Anatolia, has a 5000 year old history of making jewellery. And you will know what we mean when you see gold literally spilling out of the shop windows of Kusadasi. 1. Generic, modern designs, often inspired with the styles you can see in famous contemporary jewellery brands. Often designed in white gold and platinum. 2.Traditional Turkish jewellery, mostly in yellow 22 and 24kt gold. 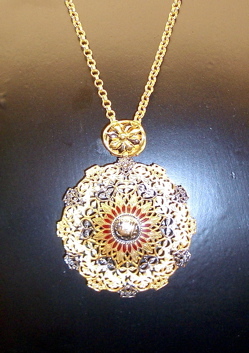 One of the styles that typical Turkish jewellery comes in will be Byzantine style. It is very similar to the Byzantine styles you saw in Greece, all lavishly decorated with rubies, emeralds, sapphires, diamonds and pearls. Second typical Turkish jewellery style is Ottoman jewellery. If we tell you that in the 16th Ct there were 90 jewellery artisans servicing the needs of the Sultan, you can imagine what importance the jewellery had! 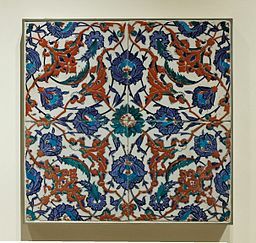 The Ottoman jewellery and decorative items were very colourful and ornate, often inspired by flowers, especially tulips, roses, violets as well as birds, butterflies and bees. When it comes to jewellery Kusadasi shopping, be aware, the market is full of fake stones, both precious and semi-precious so make sure you don’t fall for the “too-good-to-be-true” and “I’m giving you a good deal” price. Diamonds and precious stones have never been cheap and never will be, no matter where you buy them. So, don’t leave the store without the receipt, a jewellery appraisal and a business card with their email address and phone number. Turkey is one of the world’s leading producers and exporters of leather goods. Walking into each Kusadasi leather store is like walking into a leather heaven… you can get leather in all colours from classic browns and blacks to all the colours of the rainbow, from conservative styles to the more fashion-forward ones. Let’s not mention the variety of different skins: from nubuck to suede, from napa to the so-called ‘silk-leather’. You can learn all about the importance and development of leather in Turkish history on the pages of Turkish Leather Council. Ladies, in Kusadasi Turkey you will have a chance to stock up on some of the finest pashmina wraps and shawls in the world! Real, genuine pashminas are a type of fine cashmere wool that comes from a special pashmina goat living in the Himalayas! That’s why their price isn’t really cheap! Those pashminas that you’ll see on the street for $10-20 are not really real pashminas, of course, they are made either of cheap cotton or lamb wool! And they are fine if you’re looking for inexpensive Turkish souvenirs for someone back home. But when it comes to treating yourself, make sure you’re getting the real deal. To know the difference, first feel the scarves you see on the street stalls, then go to a specialized store and ask them to show you their finest pashminas. Once you experience the luxurious feel of a real pashmina, you won’t go back to the fake stuff! Your visit to Kusadasi will be a great opportunity to take home some fine, colourful, decorative ceramic plates and even tiles you can use for decoration or actually build into your bathroom or kitchen wall or floor! When buying ceramics in Kusadasi, you can go two ways: Treat it as just another one of Turkish souvenirs and not worry about the actual quality of the materials it is made of. Or… if you’re more of a collector and don’t mind spending a little bit more money, you will go with the good quality ceramics that are made with quartz and therefore have more substance to them and are much heavier! The best quality Turkish ceramics are the so called Iznik ceramics that are sought after by collectors worldwide. One of the most common motifs found on Turkish ceramics, one of the things to buy in Kusadasi, is a tulip. When we say tulip, most people will automatically think of the Netherlands. But most people don’t know that in fact, tulips are native to Central Asia and Turkey and were brought to Holland from Turkey in the 16th Century! It was in Holland that they were cultivated in great numbers and exported all around the world and that’s why people think they originated there! The botanical name for tulips, tulipa, is actually derived from the Turkish word “tulbend” or “turban” which the flower resembles! Also, the period of Turkish history between 1718-1730 is called the Tulip Era, under the reign of Sultan Ahmed III. This period was an era of peace and enjoyment so the tulip, as its symbol, became an important part of life in the arts, folklore and daily life! Now you know why you will often find tulips on Turkish ceramics! If you like to buy fashionable goods that look good… from a mile away, you will have a blast Kusadasi shopping. You will find it all… your favorite brand name logo-bag, a wallet and a belt, the sun glasses, the polo-shirts, shoes and even underwear! All in their knock-off versions. If you’re more into watches, you will see these galore too. But there’s a big difference from a genuine fake to a genuine fake when it comes to watches. Those that shops display in the windows and cases are such obvious fakes, but if you’d like to buy a specific name brand fake that no one will ever suspect of being a fake in a hundred years, you better make some good connections with merchants and ask them where to get these, as they aren’t available everywhere. Well, there’s no such thing as shopping for Ephesus antiques in Kusadasi, although many cruisers come here hoping to do so. Even if your taxi driver offers to take you to his cousin’s brother-in-law’s father where you can buy some genuine Ephesus coins, regardless of whether he’s speaking the truth or not, run away! Find out why in this Turkish Antiquities Warning. Still not feeling confident about your Kusadasi shopping adventure? 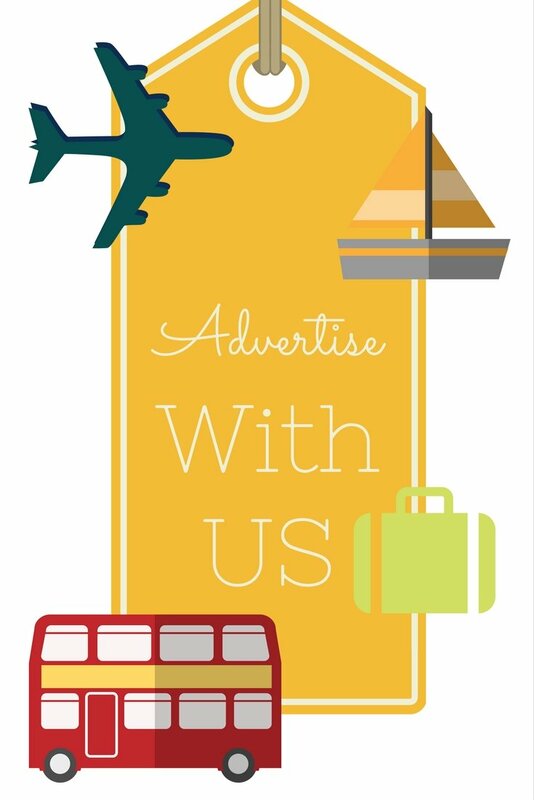 Let some experienced local guides take care of you! Hotels in Kusadasi - Planning to stay in Kusadasi to explore Ephesus even more? 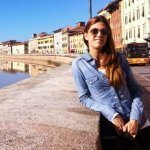 HotelsCombined.com allows you to instantly search and compare room availability and prices from all major travel websites! 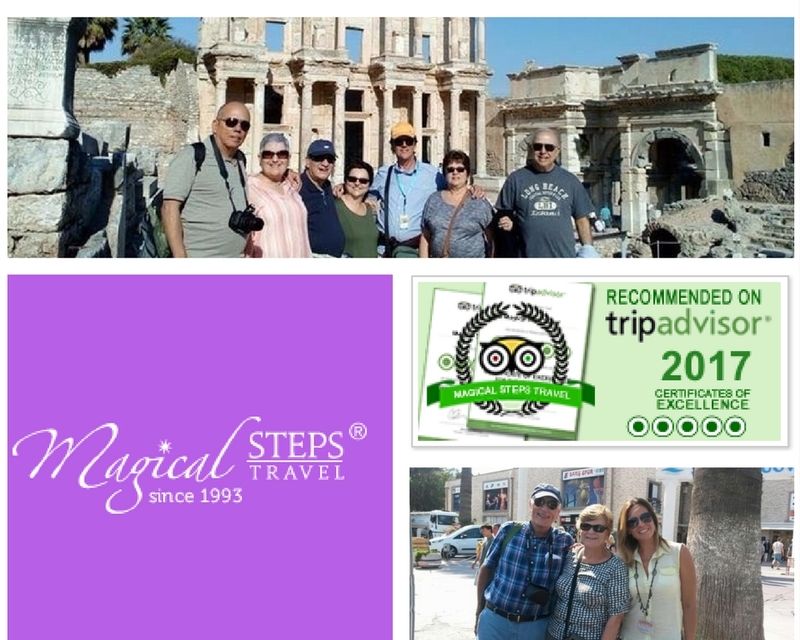 Magical Steps Travel - this is a five star private tour provider for Kusadasi and Istanbul. Check out why they have a 100% guests' satisfaction guarantee and Trip Advisor's certificate of excellence for many years in a row now. Like Kusadasi Shopping- What to Buy page?